In 2010, Google made a moral calculus. The company had been censoring search results in China at the behest of the Communist government since launching there in 2006. But after a sophisticated phishing attack to gain access to the Gmail accounts of Chinese human rights activists, Google decided to stop censoring results, even though it cost the company access to the lucrative Chinese market. Across nearly a decade, Google’s decision to weigh social good over financial profit became part of Silicon Valley folklore, a handy anecdote that cast the tech industry as a democratizing force in the world. But to tech giants with an insatiable appetite for growth, China’s allure is just as legendary. The country has more internet users—772 million—than any other country. Hundreds of millions more are not yet connected to the internet. The dizzying prospect of a billion new users reportedly prompted Facebook CEO Mark Zuckerberg to offer President Xi Jinping the chance to name his first daughter in 2015. (Xi declined.) A more typical arrangement is the one made by LinkedIn, which agreed to play by local censorship rules. Now, according internal documents obtained by The Intercept, Google itself may soon rebalance its moral accounts, just as lawmakers and consumers around the globe begin to reckon with industry’s potential to spread disinformation, sow social discord, and prop up authoritarian regimes. The Intercept said Google is in advanced stages of plans to launch a custom Android search app in China that will comply with the Communist Party’s harsh censorship policies on human rights, democracy, free speech, and religion. Google never fully exited China, even after its search service was blocked. The company has three offices and more than 700 employees in China. Last month, Google launched a so-called mini-game on China’s popular WeChat service. 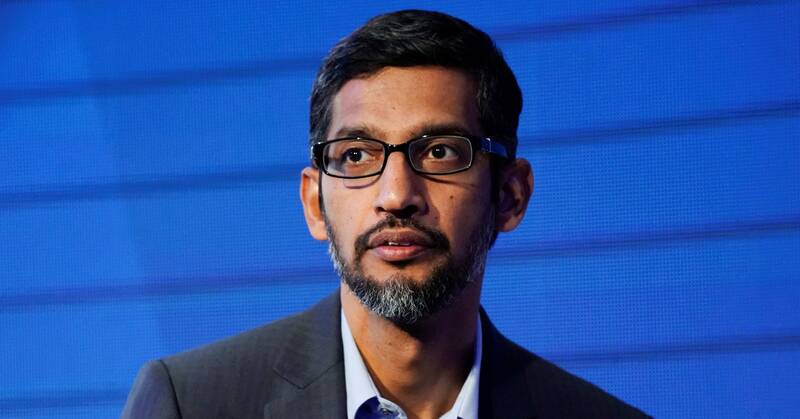 The search project, code-named Dragonfly, began in spring 2017, but accelerated in December after a meeting between top Chinese officials and Google CEO Sundar Pichai, the Intercept says. Google has already demoed the app with Chinese government. If China approves the app, it could be launched within six to nine months. In the documents, Google says it will automatically filter websites blocked by China’s so-called Great Firewall, The Intercept reports. Banned websites will be removed from the first page of search results, with a disclaimer saying “some results may have been removed due to statutory requirements.” Wikipedia and the BBC are cited as examples of sites that could be censored. The documents also say that Google’s search app will “blacklist sensitive queries,” by returning no results when people search for certain words or phrases. The restrictions would extend beyond text search. Features like image search, automatic spell check, and suggested search will also comply with the government’s blacklists. Google is not the only company revving up its presence in China. Last August, Apple, which makes the vast majority of its products in China and reported sales of nearly $45 billion in Greater China in the year ended September 2017, removed virtual private network (VPN) apps from the App store. In 2016, the New York Times reported that Facebook was developing software for a censorship tool that would enable a third party to monitor popular stories and topics in China and then decide whether those posts should be visible to users. A 2008 Citizen Lab study said search engines from Google, Microsoft, and Yahoo all censored certain content in China, and “may be engaged in anticipatory blocking,” before the government even asked. News about Google’s plans comes as tech workers have begun organizing against some of their employers’ business decisions. Meredith Whittaker, the founder of Google Open Research and co-director of AI Now, an institute focused on ethics and artificial intelligence at New York University, was involved in protests within Google to oppose a company contract with the Pentagon to apply artificial intelligence to drone footage in conflict zones. Wednesday, Whittaker tweeted that Google’s censorship could violate Article 19 of the Universal Declaration of Human Rights, as well as Pichai’s recent guidelines on AI ethics.